Download the Aflac Accident Wellness Claim Form. 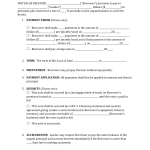 This form is what you would use in the event of injury from an accident or it may be used if you have benefits that cover wellness procedures such as mammograms or Pap smears. 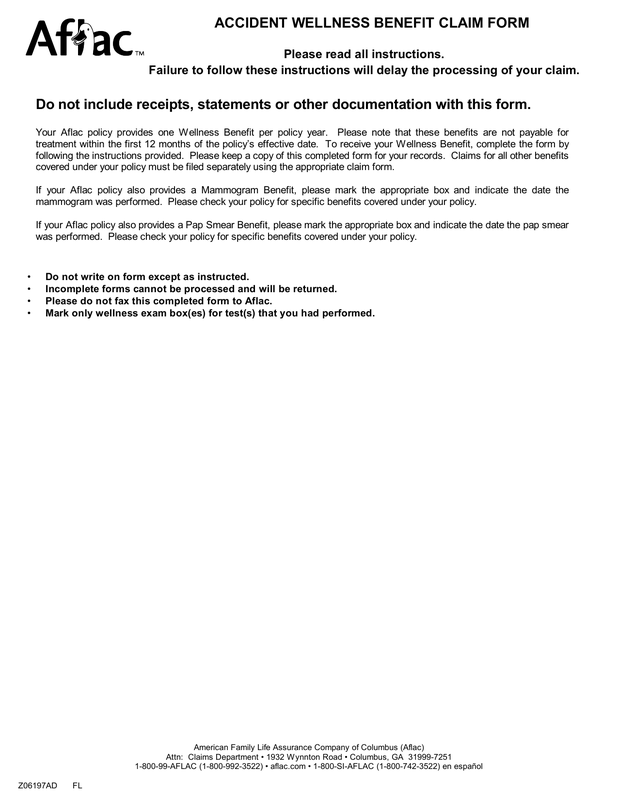 This form may also be used for other claims ie: PSA tests for gentlemen as well as other male and female related testing and procedures. Read all of the instructions carefully to avoid any delay in processing. 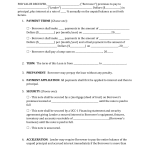 Step 1 – Only use black or blue ink and print legibly when completing this form in its entirety. Keep a copy of the supporting documentation and this completed form for your records. Read -Any person who knowingly and with intent to injure, defraud, or deceive any insurer files a statement of claim or an application containing any false, incomplete, or misleading information is guilty of a felony of the third degree. – If you agree, provide your signature and date on the lines following this paragraph.